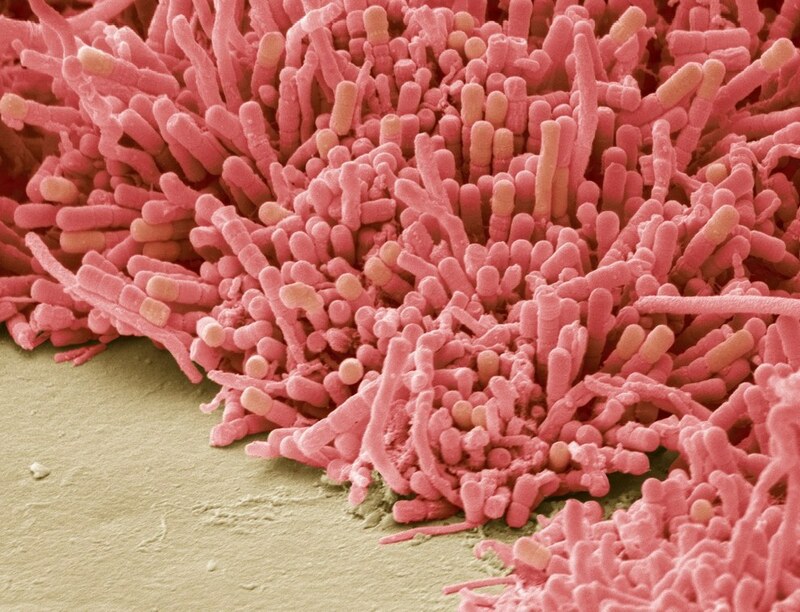 5 shocking microscopic photos that will make you brush your teeth! 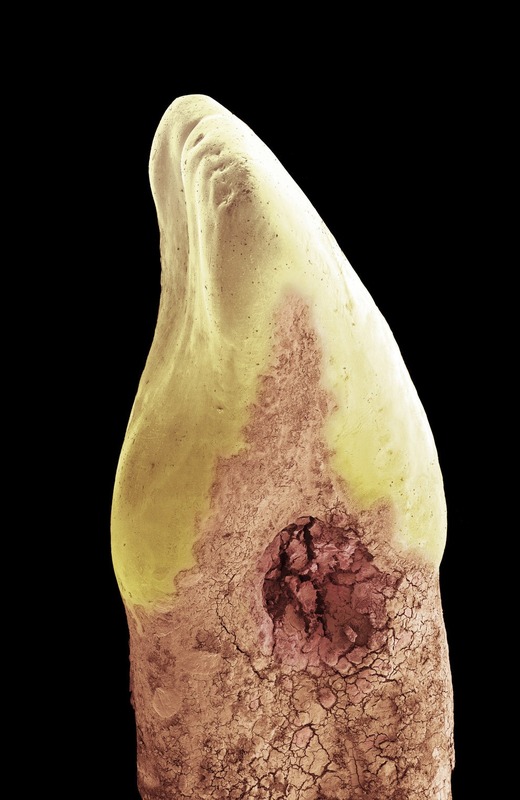 You are here: Home / Blog / Cosmetic Dentistry / 5 shocking microscopic photos that will make you brush your teeth! 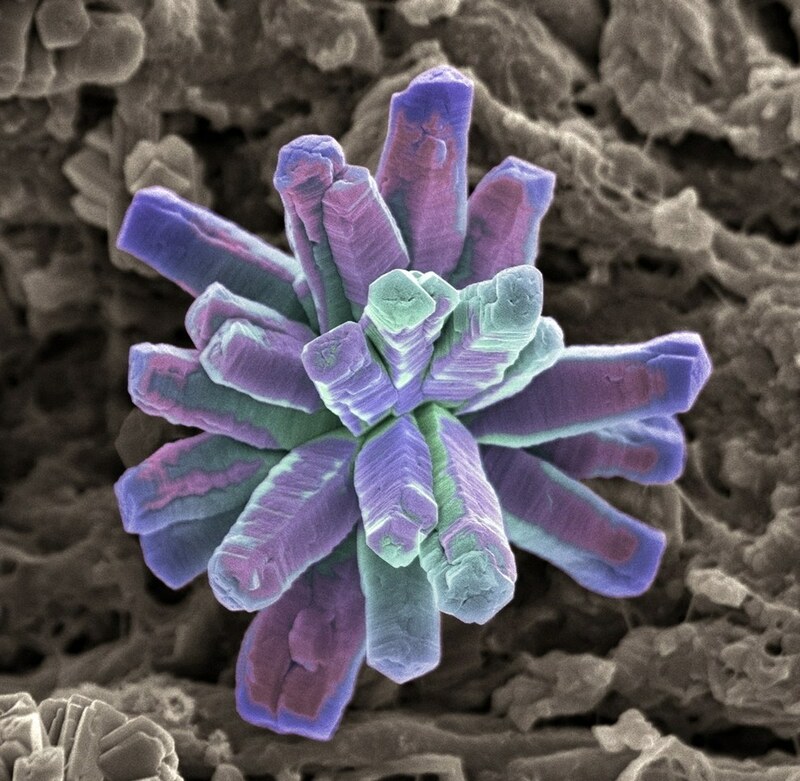 This calcium phosphate crystal is what your enamel is made of. Enamel is the outer hardest layer of the teeth. The second layer is called dentine and it’s much more softer. If you get a cavity reaching the dentine you will likely start to feel tooth pain. 2.- Microscopic Photo of dental cavity. In this photo you can see how the first layer or the tooth has been breached on the side. This happens because bacteria start eating the little pieces of food leftovers… the waste from eating that is what slowly makes the enamel decay. This photo shows the dental plaque accumulating on the tooth’s surface. The build up can end up forming something called calculus (also known as tartar) which is a form of hardened dental plaque. 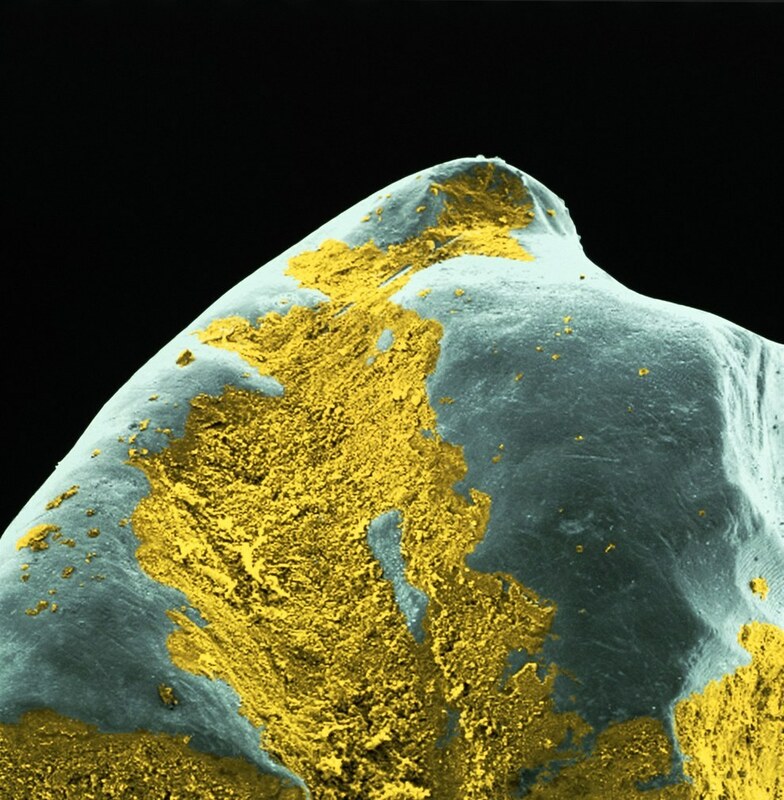 4.- Microscopic Photo zoom of tooth surface. 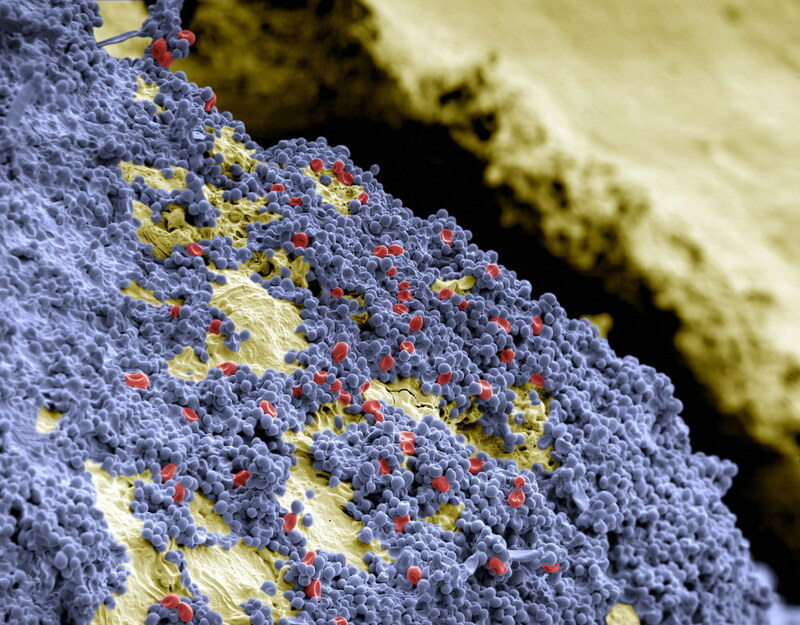 In this photo we can see bacteria colored on purple and some tiny blood cell in red over the surface of a tooth. Meet the enemy! This is the bacteria responsible of plaque. Do you already feel the need to brush your teeth? With these microscopic photos you now know why is so important to do brush, floss and use mouthwash. Killing that bacteria and plaque is a full time job! There’s always a little bit of plaque that you won’t be able to get rid of on hard to get places even with dental floss. This is the main reason why professional dental cleanings are a must at least every 6 months. Only the tools of a dental hygienist can get rid of the rest. Dental cleanings at our dental clinic are cheaper than in USA and Canada and we use the same tools and we are just as thorough. Returning happy patients in Cancun Cosmetic Dentistry! Great dental experience in Cancun Cosmetic Dentistry!